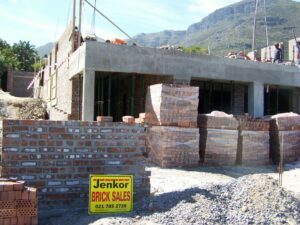 Jenkor Brick Sales – Wholesale Bricks Cape Town – and suppliers of building products is a well established family-run business operating in the Cape Peninsula for over 30 years. Personal service, quality and value for money are what we render to our customers. 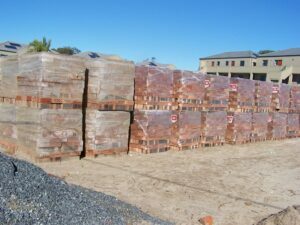 We specialise in the sale of clay and cement bricks. Please contact us for prices and quotes. Clay bricks have a long life span and durability, these benefits ensure that clay brick structures last for generations. Bricks are from clay and water, are completely recyclable, and can ultimately be returned to Mother Earth. Cement bricks and blocks – partially made from recycled construction and demolition materials, making it energy efficient, and environmentally friendly. We also supply grey stone, building sand, malmesbury sand, lime sand, paving bricks and slabs, retaining wall blocks and more.